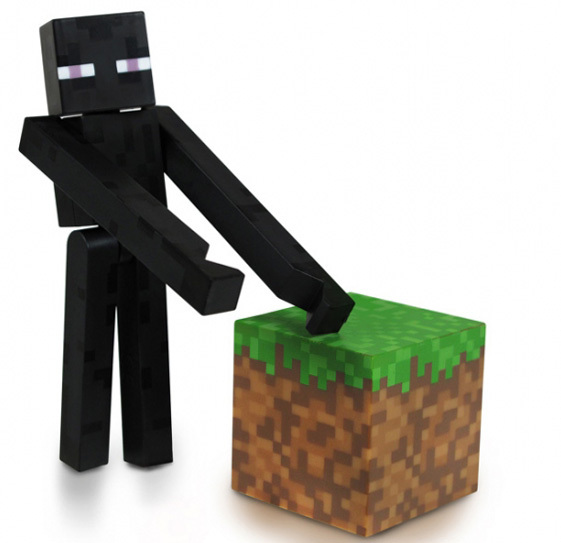 Minecraft Enderman figure with accessory. Endermen are keen on picking up and moving certain types of blocks, but only become hostile when provoked. If damaged by environmental sources, Endermen become neutral and teleport away.